Happy New Year! We're so grateful to each of you for taking the time to listen to the podcast this year, and we're very excited about next year! In honor of 2017, I'd like to share some ways to use feng shui to welcome a positive, inspiring new year. I'm planning to take each of these steps myself and would love to hear what your intentions are as well! Whether you choose to do one or all of these feng shui adjustments, please feel free to share how your space feels afterward and how you feel heading into a brand new year! Again, thank you all for listening to the Holistic Spaces podcast and making 2016 such a great year for us. To start the new year (and every month in it) with feng shui, green design and holistic living tips, be sure to subscribe to our Holistic Spaces newsletter! You can also submit any questions or feedback to us here and possibly have your question answered as part of our Q&A Sundays! We also have a new service, 15-minute consultation calls, to have your questions answered privately and right away! Welcome back to the Holistic Spaces podcast! This is our next-to-last podcast this year, and we have such an amazing guest. Marcia Shibata is a Master Shambhala KADO instructor, classically trained in Ikebana, the Japanese art of flower arranging, and has studied with Chögyam Trungpa Rinpoche and Sakyong Mipham Rinpoche in the Shambhala Buddhist community. She's also the co-founder of the Shambhala Kado School and is my spiritual mentor in addition to my KADO and Ikebana teacher. I'm so happy to welcome her insight around the path of flowers and bringing them into your holistic spaces. Flowers, "the jewels of the planet"
Thank you so much, Marcia, for sharing your knowledge and advice for including flowers in our holistic spaces. I hope each of you will consider these ideas when choosing aspects of nature to add to your homes. For more insights and tips into feng shu, green design and holistic living, be sure to sign up for our Holistic Spaces newsletter! If you have specific questions, please feel free to reach out and have them answered via Q&A Sunday or through our new service, 15-minute consultation calls! Tune in after Christmas for our final 2016 podcast and tips for setting intentions for the new year! Losing or leaving a job can be a stressful experience, even if the choice was yours. It can make us feel rejected, insecure and even afraid, but feng shui can help! This week we'll dig into how we can use feng shui philosophy and adjustments to attract work and career opportunities following a job loss. Hopefully you're all very happy and content with your careers, but if that isn't the case, there is still hope! Give one, or all, of these feng shui tips a try, and be sure to keep your intentions positive and hopeful. If anyone is experiencing job loss now and finds work after using these adjustments, we would LOVE to hear from you! We love to hear from each of you, so please don't hesitate to send questions or comments through! Your questions could even be featured on our Q&A Sunday series! If you're interested in more holistic living, feng shui and green design tips, be sure to sign up for our monthly Holistic Spaces newsletter, and receive a 10% coupon to the Holistic Spaces store. I'm excited for this week's podcast, since we'll be announcing our giveaway winner and talking about vision boards! Vision boards can be such an amazing way to get in touch with and manifest your goals; I'm living proof! So this week we'll talk vision boards, and I'll share my personal story as well as tips on using vision boards and feng shui! Hopefully you're looking forward to creating your own vision board and manifesting your dreams and goals! I would love to hear from you on whether a vision board has helped you or what goal you'll be working toward with your new board. As always, please feel free to reach out with any questions on green design, feng shui or holistic living. You may be featured in our Q&A Sunday series! 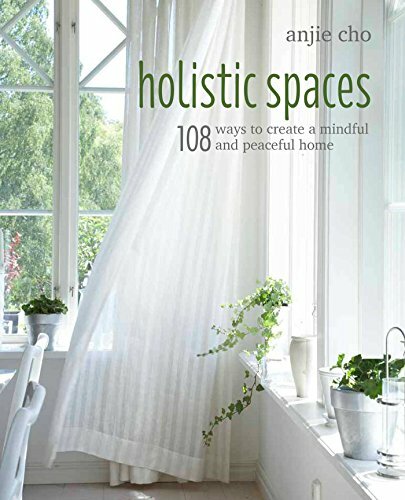 For monthly tips on how to live holistically and create nourishing spaces, sign up for our Holistic Spaces newsletter, and receive a 10% off coupon for the Holistic Spaces store! Thanks so much for listening to our podcast!